Leather seats are becoming standard issue in a lot of vehicles. Although cloth is still a popular choice, many people are beginning to understand how luxurious leather can be. 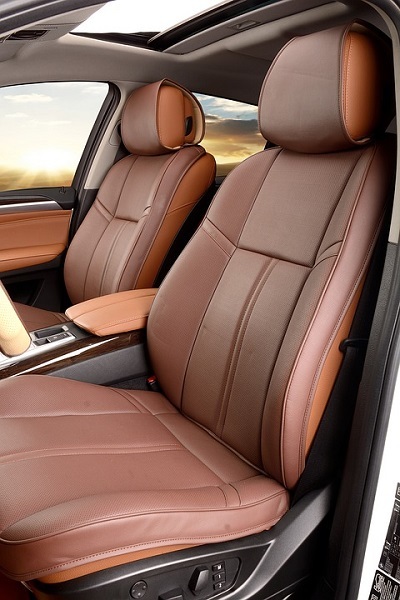 Leather seats are great conductors for both cooling and heating systems. 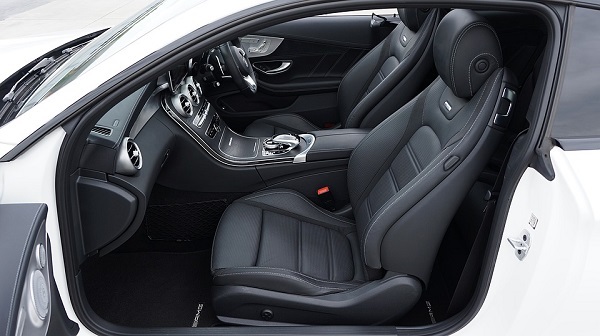 This means that if you have heated or cooling seats then you’ll get the full effect with leather! It’s also a fantastic choice for people who are looking for a car that’s more durable when it comes to stains. Leather doesn’t stain as easily as cloth since it doesn’t absorb liquids. This means if you drip your morning coffee onto your leather upholstery it’s a snap to clean it up! Even beyond this leather can add a beautiful finish to any car, truck, or SUV. You’ll love how slick you feel even when you’re just cruising down the street running errands. There’s nothing like black leather to make any car into an instant status symbol. Of course, leather does have its downfalls. It can be prone to cracking which is a problem cloth doesn’t have. Leather also requires a fairly extensive cleaning process in order to keep it in tip-top shape. You need specific products to care for it, as well, and the type of product depends on the type of leather. Light leather seats, for example, obviously require a different care plan than black leather seats. But, does it really have to be that hard? Isn’t there an easier process?! Yes! There absolutely is. Don’t be turned off by the time it takes to keep leather at max performance. 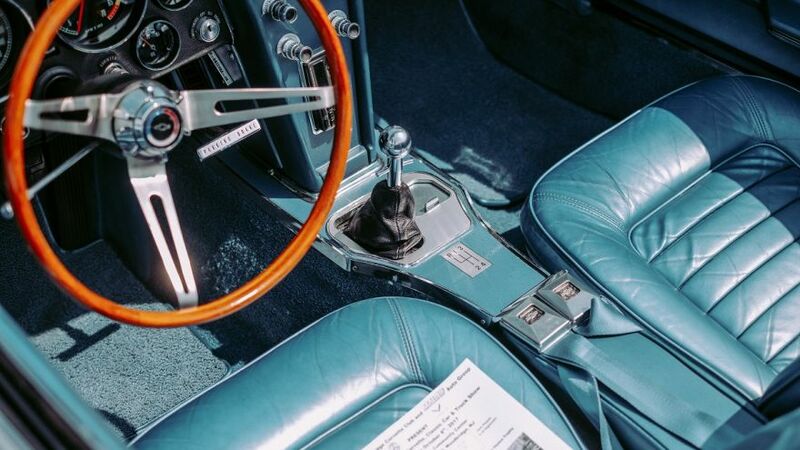 We’re here to show you the best way to go about cleaning your interior, regardless of type. Today we’ll be focusing on leather seats and will go step by step to ensure your success in extending the life of your leather. We’re separating it into two categories: light colors and dark colors. This will help you choose the best plan of action for your specific upholstery. Resoundingly, yes! There are a few different types of leather, and you should keep your type in mind. Most people know what type of leather they have, or can look up the manufacturer information if they don’t already know. We’ll talk a little about the three most popular types below. There will also be a handy tip on how to tell if you aren’t sure or can’t find the info online. Semi-Aniline Leather: You’ll find great protection against wear and tear in Semi-Aniline leather while maintaining a luxurious, fabulous feel. Semi-Aniline is used in higher end cars and is a step down from Aniline. We haven’t included Aniline leather on the list simply because it isn’ used very much anymore, if at all. Semi-Aniline is the next best thing! Water Test: Put a small droplet of water on the seat. It will absorb it more quickly than full-grain or corrected grain. Full-Grain Leather: Most people won’t have to worry about Full-Grain leather. This is because Full-Grain is generally used in luxury-class vehicles… which, unfortunately, most of us do not have. It is, however, more durable than the first two on the list. The manufacturer applies a protective coating for a more durable, stain-resistant material that isn’t as prone to scratching or scuffing. Water Test: If the droplet of water slides off easily then it’s probably Full-Grain or Corrected Grain. Corrected Grain Leather: If you’re looking for highly resistant, and durable, material for your upholstery then this is your go-to. You’ve probably already bought your car, but it’s good to know for next time! While it definitely still feels great, as most leather does, you can really feel a large difference between Corrected Grain and Semi-Aniline seats. Now that we’ve introduced you to the different types of leather it’s time to talk about the care that light leather vs. dark leather needs! For the actual “cleaning how-to” portion of the article, you’re going to take the same steps, just with different products specifically formulated for the stain of your seats. The secret to durable, everlasting life for your leather is all in the products you choose. Dark colors have been a favorite all around. Most models come in shades of black, but there is a spectrum of specializations for upholstery. This includes oak brown, dark gray, tanned khaki, and more! If your leather falls into any of these categories then it’s dark leather. You’ll probably be able to tell what care your car needs from eyeballing it, anyways. Light leather needs almost an entirely different system for upkeep. There is a selection of products on the market that are all designed for ivory, cream, or other light shades that interior can come in. White leather can be easier to stain and requires touch ups more often than darker shades. However, it doesn’t get as hot in the sun, and it definitely gives a lovely “pop!” to any vehicle! Never fear an intensive cleaning process, however, because if you follow our complete guide to leather care you’ll be good to go. We recommend not using silicone based products. Wax and oil-based are also no-no products in that regard. Avoid using too much water, as well, since this can damage your seats. Give ample drying time between each step, and make sure you go above and beyond when it comes to removing a product that isn’t a leave-on. Step 1: First, vacuum your seats thoroughly. Dirt can get into the smallest of crevices and is one of the biggest culprits of leather breaking down. Be extra careful to get every nook and cranny before you move on to the next step. If you’re at a car cleaning station, then use their vacuum. If you’re at home then it might be a good idea to have an extension cord on hand to make sure your vacuum will reach if it isn’t a portable model. Step 2: This is somewhat optional, but it is recommended. Use a damp washcloth to dab dark spots and clean away less stuck-on grime. Quick Tip: Don’t ever use a soaking wet cloth on your leather! Water can be highly damaging if used in large amounts. Dry off your leather as soon as you can, and don’t let water sit. Step 3: Once you’ve removed all traces of the loose, gritty stuff you can move on to cleaning. Use your leather cleaner to spray a fine mist over the seat. We recommend doing it in sections since you never want the cleaning solution to dry on your leather. Quick Tip: If it’s your first time using a cleaning solution then spot test it! This means putting a small amount on a non-visible part of the seat to make sure it doesn’t react with your leather. Step 4: Use circular motions with your microfiber cloth to buff away the cleaner. The product should come with directions to make your usage easier. Some of them require you going over them with a wet cloth after, and others should sit on your leather. Make sure to read the back of the bottle for the information you need specific to that cleaner! Step 5: Once you’ve finished washing the leather with the specialized cleaner you can move on to the second round of vacuuming. This will ensure that your seats are completely clean and ready to go! Of course, if you’re not in the mood to carry out this sweep it isn’t exactly necessary. A little goes a long way, however, and you might be surprised with the results. Step 6: Conditioner is a great way to maintain the soft, luxurious feel that leather seats are so well known for. It’s recommended that you condition your seats often, especially in hot climates. Conditioner provides a softening effect on the leather and keeps it from cracking. Ensure your leather is completely dry before moving onto this step, and use as much conditioner as you think you need. After about a half-hour you’ll be good to go! Step 7: It’s time to polish ‘er up! If you splurged on polish (which you totally should) then this is the fun part. 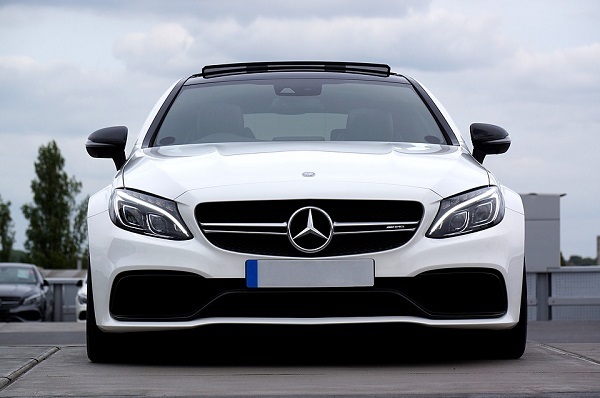 Polish works in multiple ways to keep your car looking it’s best. It adds a beautiful shine, and can go a long way in keeping your leather fresh and funky! If you’re using conditioner, which is a vital step, then you may not actually need to use polish. See how you feel about the shine that the conditioner adds and whether it’s a 2-1 that offers both conditioning and polishing effects. If you still want to polish your seats then allow the conditioner to dry completely. Maybe go inside and have a quick bite to eat after wiping your seats down one last time. When you’re sure your seats are ready just follow the directions on the product label and watch the magic happen! Quick Tip: When you’re out having fun in the sun remember to bring heat protection. There are visors you can put up on your windows to keep your interior cool. This means no more burned buns when you try to slide into your seat! They also protect the integrity of your leather and keep the sun from fading it! Step 8: Don’t forget about your car between detailing sessions. 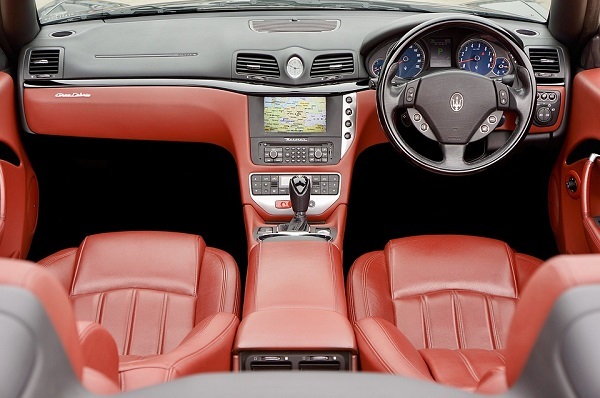 We recommend detailing leather seats at least once a month and conditioning them a little more often than that. It’s a quick job that saves you a lot of money in the long run since it’ll keep your leather in near-perfect condition. Spot clean often, and keep leather-friendly wipes on hand to stop problems before they happen. Also, keep in mind the type of leather you have. As we had mentioned some types absorb liquid quicker than others. It’s good to keep in mind whether or not your leather will be more prone to absorbing the occasional spill. Quick Tip: Make absolutely sure to spot clean as soon as you see a stain. Also, regular once-overs can go a long way in ensuring your ivory seats stay in showroom condition! While there are some guides out there that use cleaners not specific to leather, we don’t really encourage it. There are some valid household products that can be used… but you want to be super careful about it. There is absolutely a right and a wrong way to clean leather. Going about it the wrong way, or using an incorrect product, can end in disaster. Also, for your convenience, you can use your leather cleaner on literally any leather part of your car. 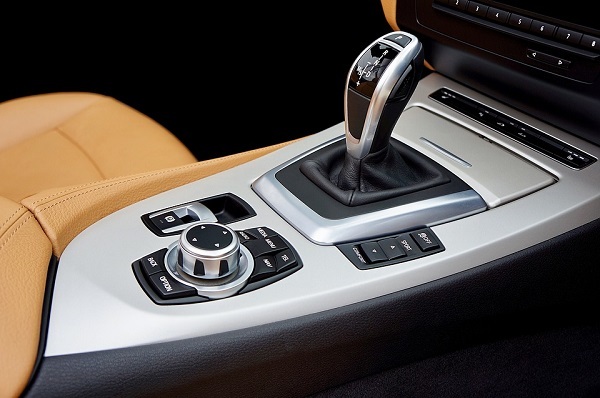 This means the dash, the shifter, the steering wheel… you name it! Don’t forget those smaller, finer details that can be so hard to miss. The other leather parts of a car need just as much love and attention! That being said there is obviously a difference between different shades of leather. Don’t get us wrong- the process is mainly the same. It’s just that the products differ, and both need different sorts of TLC to keep them looking good. There are plenty of pros and cons to either style, and people have greatly differing opinions on which is better. 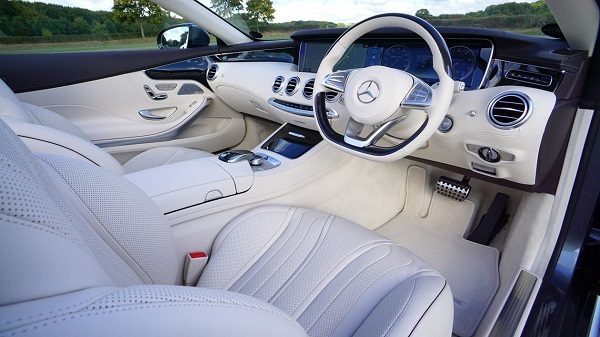 For example, white leather may be great for keeping cool, but it’s terrible for keeping clean. Dark leathers, on the other hand, can be downright painful to sit on after baking in the sun. Regardless of your situation you now have the knowledge needed to tackle the situation! Keep reading around the Motorful blog for more tips, tricks, and how-to guides that you simply can’t afford to miss! Consumer Guide – Cloth vs. Leather: Which is Best For You?